Antico’s Pizza, an Italian restaurant owned by Giovanni DiPalma, is a fixture around Atlanta. It is known for delicious pasta and phenomenal pizza. But most people do not ask themselves, “Who exactly made these pizzas?” The answer has recently come out and is a big source of conflict. Antico’s owner, Mr. DiPalma, has been hiring illegal immigrants, recently arrived from Mexico, Guatamala, Hondoras, and other Latin American countries, fleeing violence in their home countries and coming to America for a better life. If this hiring of illegal immigrants was not enough, Mr. DiPalma has also been paying them lower than minimum wage. The minimum wage was established in 1938 under President Franklin Roosevelt. Pressure from labor unions in Detroit, Chicago and New York for a higher wage promoted this rule change. The law states how much an employer is legally obligated to pay workers. It helps reduce poverty among workers and it is a federal crime to pay less than minimum wage. The current federal minimum wage is $7.25 and the Georgia minimum wage is $5.15; however, the federal minimum wage takes precedence. If all of this was not enough, the Division of Wage and Hour also claims “Defendant Di Palma has unlawfully interfered with this federal investigation in several ways. 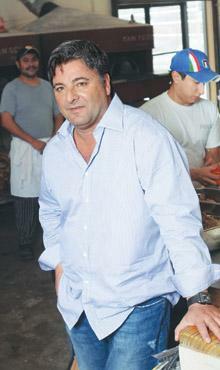 He has intimidated, terminated and threatened to terminate employees of the company and threatened to call immigration authorities concerning employees believed to have cooperated in the Department of Labor investigation.” Di Palma basically threatened to call immigration on his employees if they did not work like slaves in the kitchens of his restaurants. Giovanni Di Palma owns several restaurants in the area of Little Italia on Atlanta’s Westside including Antico Pizza Napoletana, Gio’s Chicken Amalfitano, Bottega Luisa, Caffe Gio, and Bar Amalfi, among others. Antico’s has been the only place indicated in the case against Mr. Di Palma but others may be investigated. This type of investigation can ruin people. Even if Di Palma manages to weasel his way out of federal and state criminal charges, he will be branded by Atlantans as well as the food industry as a man who was investigated. Just as kids who are called to the principal’s office are remembered by that fact, Antico’s will be branded as having been investigated by a federal agency.